who enjoys writing poetry and co-hosts a morning radio show in Burlington, Vt. Besides the fact that “it’s hard to be a 17-year-old’s best friend when you’re 52,” Tom Brennan may despise recruiting for another reason. Every basketball team in the America East Conference is given 13 scholarships except Vermont, which receives 10 and a half. While many coaches might use this discrepancy as an excuse, Brennan realizes he doesn’t have the enormous pressure to win like many other division one head coaches, such as UNC’s Matt Doherty. Another big thing for Brennan takes place on Dec. 19, when UNC hosts Vermont in a contest scheduled because of unique circumstances on Jan. 19, 2002. The two teams stayed at the same hotel before their respective road games against Connecticut and Hartford the following day. Both coaching staffs hit it off, resulting in the Dec. 19 game. Last April, Brennan tuned into the McDonald’s High School All-American game on television. 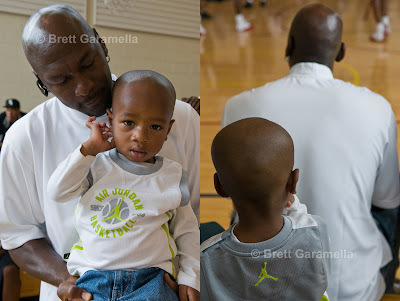 He soon discovered the talented Tar Heels’ recruiting class of Raymond Felton, Rashad McCants and Sean May. Overwhelmed by UNC’s gifted trio, Brennan changed the channel after the announcer indicated the third player attending UNC. Even while recognizing Carolina’s teenage flair and deep tradition may hinder his chances of winning, he still relishes the opportunity to coach in the Dean Dome. Regardless of the game’s outcome, fans will get their money’s worth with Brennan on the sideline. Carolina fans will soon learn what everyone in Patrick Gymnasium already knows, that Brennan is just as much a cheerleader as he is a coach. It’s no surprise he raises his arms in the air every time one of his players launches a shot outside the arc – he’s a veteran coach who loves games. But Brennan’s love for games goes beyond coaching. I hate it more than Texans’ hate boll weevils. Brennan’s notoriety has inflated statewide to the equivalent of Jim Calhoun in Connecticut or Roy Williams in Kansas. And much of this can be attributed to the free publicity on his morning radio show. 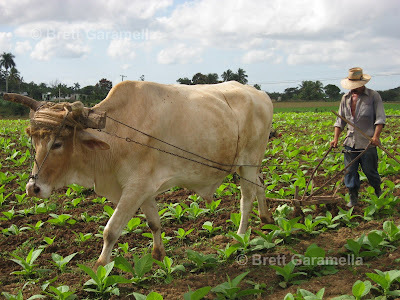 His popularity is so eminent that his show, “Corm and the Coach,” has been rated number one for the past 10 years by The Reader’s Choice, beating Don Imus and Howard Stern. One night this past August, Brennan was watching the biography channel in his newly built home in Colchester. During the program, blurbs of different people popped on his screen. And sure enough one of them was Howard Stern, the often controversial but always well-recognized American entertainer. As the show examined Stern’s book and movie, the man plopped on his couch reflected on his radio success. 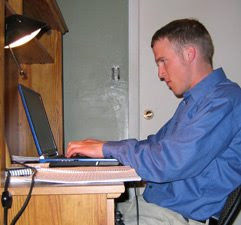 Brennan acknowledges the uniqueness of his situation, given the opportunity to work on the radio before 9 a.m. – promoting the basketball program and school, while developing his poetry hobby. In many ways he is a combination of David Stern and Howard Stern. He has the wit of a seasoned coach and the disposition of an entertainer. While he brings a similar personality to both jobs, there is a difference. The Burlington community adores Brennan because altruism is a part of his program, not just a publicity stunt. Every year the Vermont basketball players raise money for charity by serving almost a thousand people attending the annual Kevin Roberson Spaghetti Dinner. 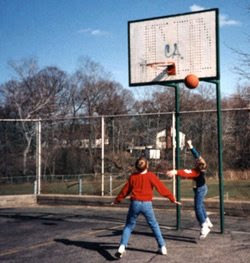 Roberson, a former conference player of the year at UVM, was tragically killed by a drunk driver in 1993. The event couldn’t be better for Brennan. As his popularity increased, so did his poetry, which he began reading on the air about nine years ago. His self-proclaimed “Nipsey Russell” style reveals Brennan’s spontaneous nature. Because my players are individuals, not some heard of sheep. Growing up in Phillipsburg, N.J., Brennan enjoyed playing a variety of sports, but particularly excelled in hoops, graduating as the all-time leading scorer at Phillipsburg Catholic High School. He followed his stellar prep school career at the University of Georgia, competing against the legendary Pete Maravich and Johnny Neumann. Brennan traded his jersey and high-tops for a coach’s suit and wingtips after he graduated from Georgia in 1971. He broke into the division one ranks in 1982 as the head coach of Yale and has remained at Vermont since 1986. Although Brennan earned his third America East Coach of the Year Award and Vermont set several school records last season, including 21 wins and its first regular season conference title, success wasn’t always typical in Patrick Gym. 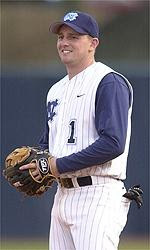 The Catamounts won 14 games in his first three seasons. But to tell the truth, I’m really glad they’re here. Five years ago Brennan learned of an eight-year-old boy from Enosburg Falls, Vt., diagnosed with leukemia. Moved by the prognosis, Brennan provided Thomas Cook a position on the baseline near the team’s bench, serving as the ball boy for all home games. Some of the players grew close to Cook and were devastated by his death a year ago November. Still, Brennan uses Cook as a reminder to his players ofhow blessed they are. Serving as inspiration, a strong work ethic has never been a problem for his players. Just like Cook, Brennan’s upbeat spirit rubs off on those around him. When Brennan’s English bulldog, Gunner, died in November, his players witnessed his emotional attachment. It will be hard for the Catamounts to perform better than last season. Despite bringing 11 players back from a team that broke numerous school records, Vermont lost two of its top three scorers, including Trevor Gaines to graduation and point guard T.J. Sorrentine, who broke both wrists in a scrimmage on Nov. 1. Anderson will take over at the point, filling in for last year’s conference player of the year. Brennan may be the ideal person to help the team adapt without Sorrentine, having witnessed almost everything in his extensive basketball career. The same man who adopts certain trends like a popsicle craze last summer. While his potato chip and candy cravings pass, he has maintained a routine after moving into his new house by Lake Champlain in the summer of 2001. One day driving home Brennan began thinking about how grateful he was to own this home and reflected how it became a reality. The first thing that came to mind was Roberson. Brennan reminded himself of his star player’s legacy. Still contemplating, Brennan ironically passed 40 Henry Street, Roberson’s residence his senior year, and beeped his horn. Since then his team went on a tear. Tears of joy flowed down his cheeks when he won his first championship as a coach last March. Now every day Brennan drives out of his way to beep. Although middle-aged, Brennan is young for a man who has accomplished all of his personal goals in life – made possible by a small division one school in a town in Vermont. 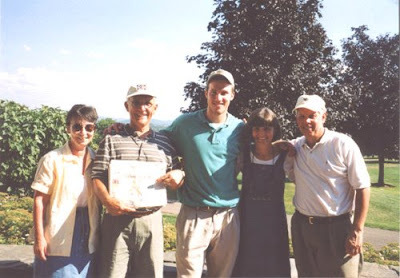 This story first appeared at Tarheeldaily.com in December 2002, three months before the Vermont men’s basketball team won its first conference title in school history. 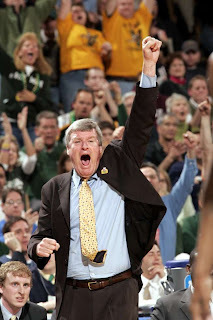 Vermont won titles in 2004 and 2005 as well, and Brennan retired as a coach in March 2005. Interest in climbing has skyrocketed across the nation, but climbers like 14-year-old Burlington resident Nikki Whelan are rare in Vermont. Why? It’s an interesting question to ponder, considering Vermont is not exactly Kansas. It is, after all, known as the Green Mountain State. The best American climbers often come from places like Boulder, Colo. (The unofficial climbing capital of the United States) or New York, New Hampshire or other states with high peaks. The popularity of climbing has increased greatly in the last decade. Climbing gyms popped up across the country in the early 1990s, and with greater access, popularity rose. The expansion of climbing gyms introduced younger people to the sport. That has transformed climbing from an adult sport into one now dominated by older teenagers and climbers under 30 years old. Climbing was not always what it is today. The sport has evolved from mountaineering, where climbers just wanted to climb mountains. The pioneers of the sport put pieces of equipment into the rock to protect them as they climbed. This was called traditional climbing. During the 1980s the French transformed the sport similar to the way climbing gyms changed everything in America. They put expansion bolts, or permanent rods, into the rock, making it lighter and safer to ascend a cliff because climbers no longer had to lug a heavy rack on their harness. This new style was called sport climbing, and many traditional climbers have questioned its legitimacy. Nevertheless, sport climbing spread throughout Europe in the late 1980s as climbers built performance training devices. Soon the sport became more popular in America. Today, children are training more than ever and the competition is getting stiffer. However, Vermont has seldom produced top climbers. Whelan is the exception to the rule. She is ranked second in the nation for girls 14 and 15 years old and is headed to France in the fall to compete for the U.S. Junior Climbing Team. This story accompanied the one above it in the Burlington Free Press. This story was the biggest breakthrough for me as a writer. It was my final exam for a creative sports writing class. We could choose any then-current Carolina athlete and write a 2,500-word profile on that athlete. Tim Crothers, a former Sports Illustrated senior writer who graduated from Carolina in 1986, taught the class. 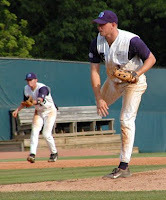 I chose Chris Maples, who was drafted by the Detroit Tigers after graduation, for obvious reasons, one of which was his willingness to chat candidly with me for a few hours in the Boshamer Stadium dugout. This was the first story I am proud of and since then I knew I could be a great writer if I kept working hard and learning from other great writers. Freshman Jeremy Cleveland had forgotten the significance of the day. 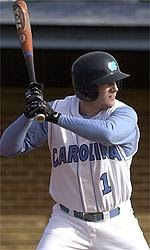 It was April 1, 2001, and the UNC baseball team was preparing for a team lift before practice at Boshamer Stadium. However, he was well aware that when Coach Mike Fox put a player’s equipment in a plastic bag in front of his locker it meant a player had gotten too far out of line. Because this was how another UNC teammate was dismissed earlier in the year, Cleveland was anxious as he approached his locker. Sure enough all his belongings lay in front of his locker, his nameplate removed, with a note on the plastic bag that read, ‘See me. Coach Fox,’ written in big red letters. By then he feared Fox had discovered a minor infraction he committed off the diamond a few days earlier. Junior Chris Maples had filled his teammates in on this April fools hoax earlier that morning. Maples hasn’t played any jokes to that extent since, yet his shenanigans continue. The number “one” doesn’t just refer to Maples’s practical joke ranking or uniform number. It also is where he stands on the UNC stat sheet, where he is tops in home runs (19), RBIs (58), ERA (1.10) and saves (4), while being the lone scholarship senior. At a school that exalts two-sport athletes like Julius Peppers and Ronald Curry, Maples might be the most gifted of the bunch. Just ask his mother who watched in awe as two-year-old Chris tossed a baseball in the air to himself and hit it with two hands. Or talk to his high school coach, Dean Dease, who played him at six different positions in a seven-inning game. Chat with Fox, and he’ll boast of Maples’s natural ability to walk on his hands or do standing back flips. You still don’t buy it? His father, Eugene Maples, who introduced him to golf at age 13, said the UNC golf coach, John Inman, had tried to persuade Maples in the past to join the varsity team. Maybe its Maples’s 225-yard 6-iron shots that warrant Inman’s interest. Or perhaps his ability to consistently break 80 without consistent practice. Maples’s attitude reflects his versatility as much as his God-given hand-eye coordination. “I just go along with what the coaches do,” Maples said. “We got one of the best pitching coaches in the nation, Roger Williams. So I just went along with him.” He started pitching this fall for the first time since high school, when he came in as a reliever. He also played some first base, but come spring, he started at second base and right field. Fox moved him permanently to third base the fifth game of the season, while utilizing his 94 mile-per-hour fastball as the team’s top closer. Last summer, while playing for the Durham Braves in the Coastal Plain League, Maples painted his spikes white with the paint used to draw foul lines. “One game I just got the idea that I’d paint my spikes white because Clemson has the white spikes and I think it’s pretty cool,” he said. “It kind of rubbed off and then I decided to spray paint the whole thing. It makes you look like you are faster, too, in white shoes.” In true Maples fashion, he gladly obliged to paint his spikes gold upon an ECU fan’s request a couple days later. Layered beneath his antics exists compassion, which triggers his desire to be what he calls a “friendship-leader.” When asked how he feels about being the only scholarship senior on the team, he is quick to point out the dedication of walk-on senior Brendan Leonard. And despite his gaudy numbers on the mound and at the plate this year, Maples has remained as humble as his small-town upbringing. Maybe it’s a weekly Bible study meeting with 10 of his teammates that prevent his head from swelling. Then again, it’s hard to maintain an ego living with a mother who grew up in the same town as you and was an all-state high school shortstop, which Bunny accomplished in rural Hillsborough, N.C. She also played on the U.S. National Softball team that finished second in the world championship. From the age of 13, nothing could pull Bunny away from the ballpark. In 1979, 27 years later, she was six months pregnant with Chris, yet started at shortstop for a Hillsborough softball team. When he was born, she took Chris and his older brother Robbie to her church softball games, which Eugene also played in. Somehow she managed to watch the children while she played.“I tried to keep him into stuff if they wanted to play, but I didn’t make them play if they didn’t want to,” Bunny said. While she didn’t force Chris to play a certain sport, she demanded discipline from her two sons. Her demeanor made her better suited for this job than her even-tempered husband, who worked as a supervisor for a Piedmont electrical co-op. She felt the same way for school. “They’d probably say, ‘Mama, I’m sick, come get me’,” Bunny said. “I’d say, ‘Well, let me see if I can get off work. You just go back to class and if I can get off I’ll come get you.’ I wouldn’t even ask to get off. I’d just let them stay up there and if they were sick enough the nurse would call.” Apparently the nurse never called back because Chris ended up having perfect attendance from kindergarten through high school graduation. Always an honor-roll student, he learned to cope with opening his books. At UNC, he’s made the Dean’s list the past three semesters and won the team scholar-athlete award. While remaining remarkably healthy, his Cal Ripken-like upbringing has carried over to the baseball diamond. Following the Seton Hall series this year, he sprained his ankle. “I was out for a day or two of practice, and then started hobbling around and said, ‘The heck with it. I can’t stand to sit here and watch.’” Unable to sprint, he played in the next series with a heavily taped ankle. 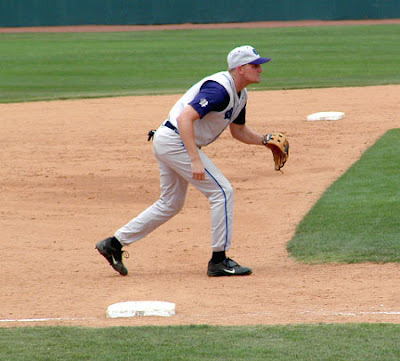 While starring on the Orange County High School baseball team in Hillsborough, Chris also played quarterback for the football team and guard for the basketball team. Unable to grip the ball well with his small hands, his athleticism only took him so far in the latter two sports. He decided to concentrate strictly on baseball his senior year. The country boy with a contagious smile and a rocket arm would exceed everyone’s expectations, but not right away. As a junior, Maples won his third team lifting award, given to the hardest worker during fall weight training. 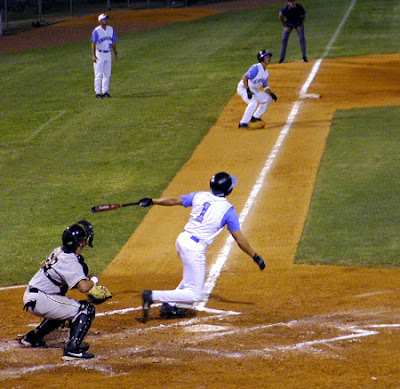 The extra effort paid off, as he started 46 games at third and seven at second, while tying for a team best seven homers. Even with his added strength and bigger bat, Maples’s most noticeable improvement this season may be patience at the plate. Always an aggressive hitter, he has walked more than twice as much as he did last season. He has worked on waiting longer for the ball and then using his quick hands to generate power. “One of my goals this year was to hit a homerun to the opposite field,” Maples said. He more than achieved that, smacking five homers to right field while increasing his batting average from .288 to .341. Maples’s power helped turn a dismal 6-8 Tar Heel squad into a nationally ranked team, which was no more evident than on March 22 – the first of a three-game home series against then No. 1-ranked Florida State. Down 7-2 in the seventh inning, Maples led off with a solo shot to left, and punctuated a nine-run inning with a grand slam to right center. This propelled UNC to a series sweep and what would be a 13-game winning streak. While his bat turned the season around, it is his arm that may change the view of Major League scouts, who passed on Maples in last year’s draft. 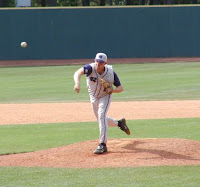 He has an arm that can throw a baseball from the right field bullpen in Boshamer to the clock resting atop the 42-foot high scoreboard in left field – about a 350-foot distance between the two. The same arm that threw a bullet from right field to first base last summer, beating the batter by a full stride. Then watch his fluid pitching motion and stunning confidence while factoring in the watered-down pitching Major League expansion teams generate, and his dream to play in the big show is even more likely to be realized. Right now, he’s just happy being a college student – coming home and playing with his energetic 1-year-old Jack Russell terrier, P.J., or chatting with his family on the field after a home game. 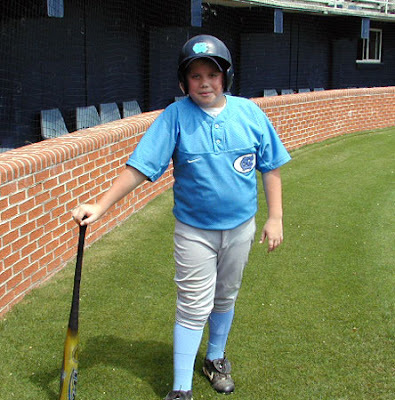 Carolina batboy R.J. Overman is Chris Maples's first cousin. While sitting forward in the Tar Heel dugout at Boshamer, Chris articulates the closeness of his family. His face exudes an aura of genuineness and sincerity that can only be expressed from the depth of his heart. The type of recollection that can be made from nearly losing brother Robbie, which happened to Chris as a 10th-grader. This story first appeared at Goheels.com in May 2002. 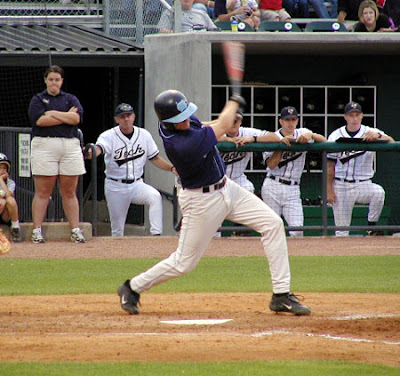 A month later Maples was selected by the Detroit Tigers in the sixth round of the major league baseball amateur draft. Timing is everything, as they say. I read this book as a sophomore in high school and couldn't put it down, carrying with me on a trip to Egypt with my mom. Darcy Frey chronicles the lives of the star basketball players at Abraham Lincoln High School in Coney Island, a notorious area for pick-up games and housing projects. 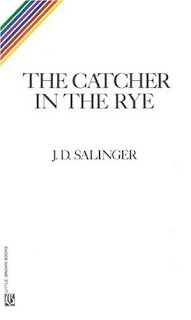 The most compelling character, even more than Stephon Marbury, is a determined and eccentric Darryle Flicking (called "Russell Thomas" in the book), who so desperately wants to leave his Brooklyn ghetto, and views basketball as his only means to go to college; his last shot for a better life.